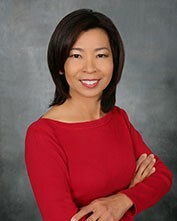 Dr. Shiflett graduated from University of Southern California in 1992 and continued her education in General Practice Residency at Rancho Los Amigos National Rehabilitation Center in Downey, California. During her residency training, she had the opportunity to treat adult and children with special health care needs. After finishing her residency program, she practiced general dentistry and realized that her passion in dentistry was children and special health care need patients. She furthered her training in Advanced Pediatric Dentistry at University of Southern California and Miller Children’s Hospital at Long Beach and graduated in 1996. During her residency, she received graduate student research award from the American Academy of Pediatric Dentistry and the outstanding resident award from the program. Dr. Shiflett was a Clinical Assistant Professor at University of Southern California, Department of Pediatric Dentistry and worked with non-profit Children’s Dental Health Clinic in Long Beach from 1996-1998. Dr. Shiflett has been in private practice in West Covina since 2000. Dr. Shiflett resides in West Covina. When she is not working she is very busy with her three sons and husband.